Who likes steak? 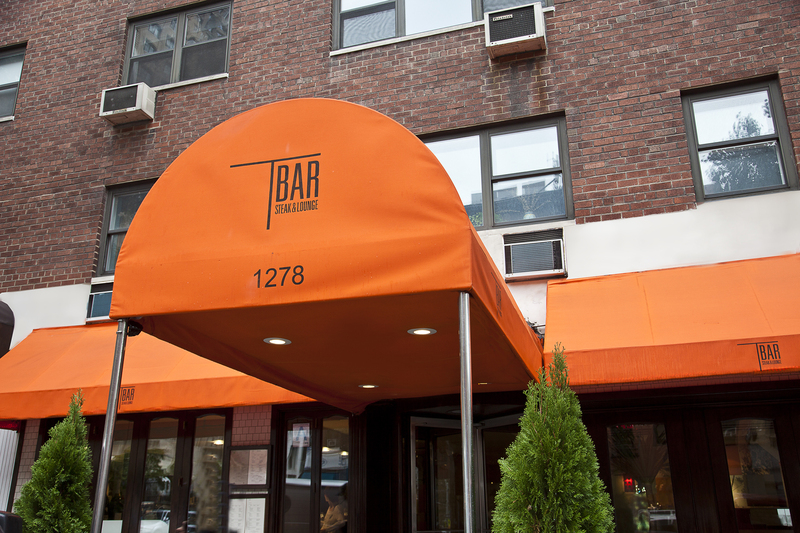 If you do then you should head over to TBar Steak & Lounge on Manhattan’s trendy Upper East Side. I took my girlfriend there recently for a night out and we had a truly exceptional meal. 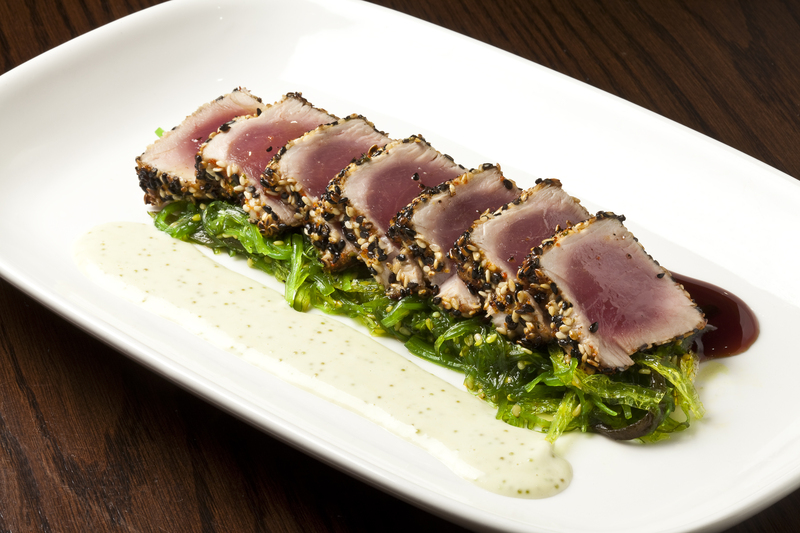 Executive Chef Ben Zwicker is a master of his craft. He is a veteran of the California Culinary Academy which he followed with positions at the prestigious Four Seasons Hotel in New York City and Mandarin Hotel Group in San Francisco, and now joins us at TBar Steak. 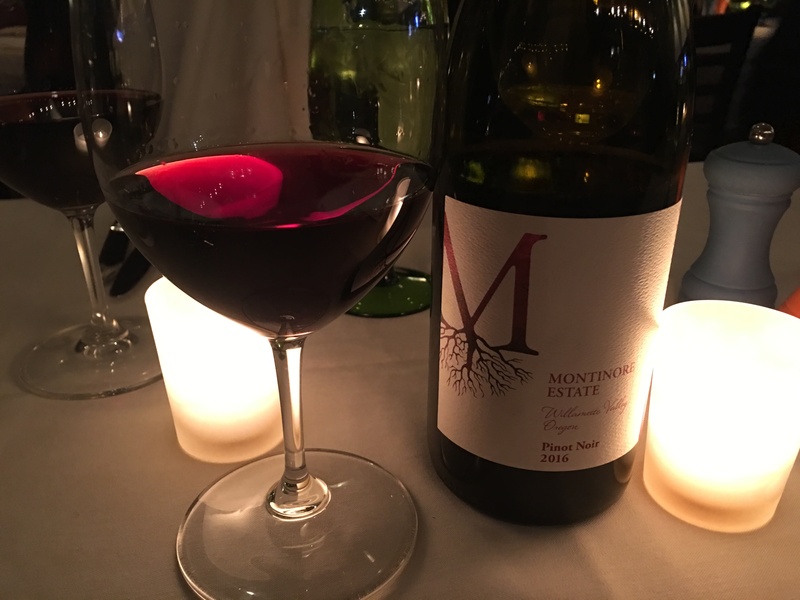 We began the evening with a bottle of Willamette Valley 2016 Pinot Noir which our host recommended. 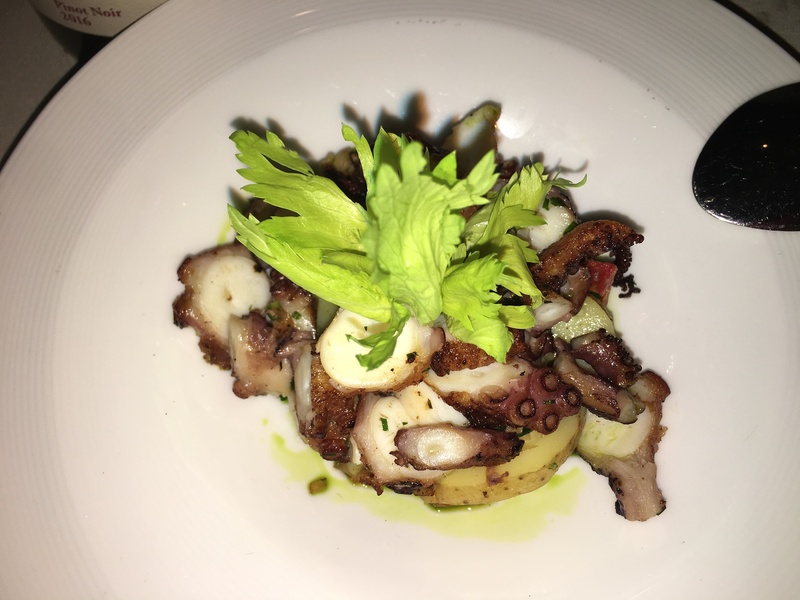 It went along quite well with the appetizers we ordered, which were the Seared Spanish Octopus, Vietnamese shrimp rolls, and the Yellowfin Tuna Tartare. 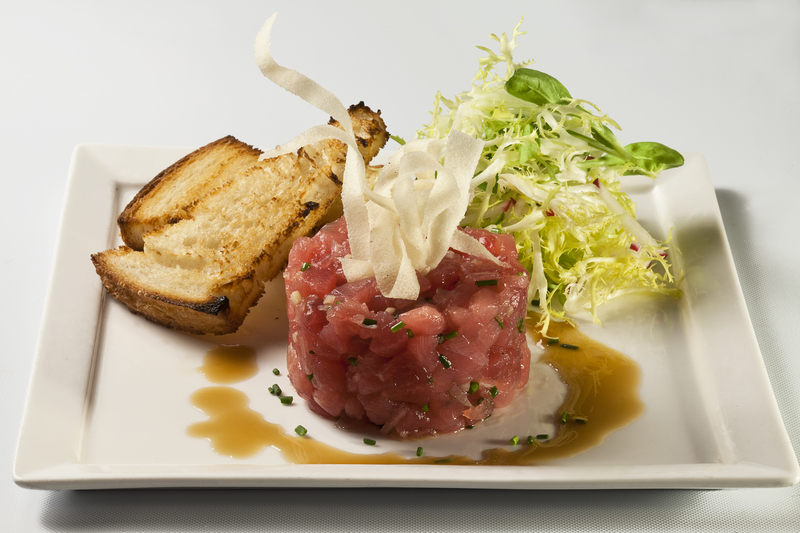 All three dishes were delicious, but my favorite was the tuna tartare. Seasoned with their special soy, ginger and sesame seed concoction, it was fresher than fresh and each bite was bliss! 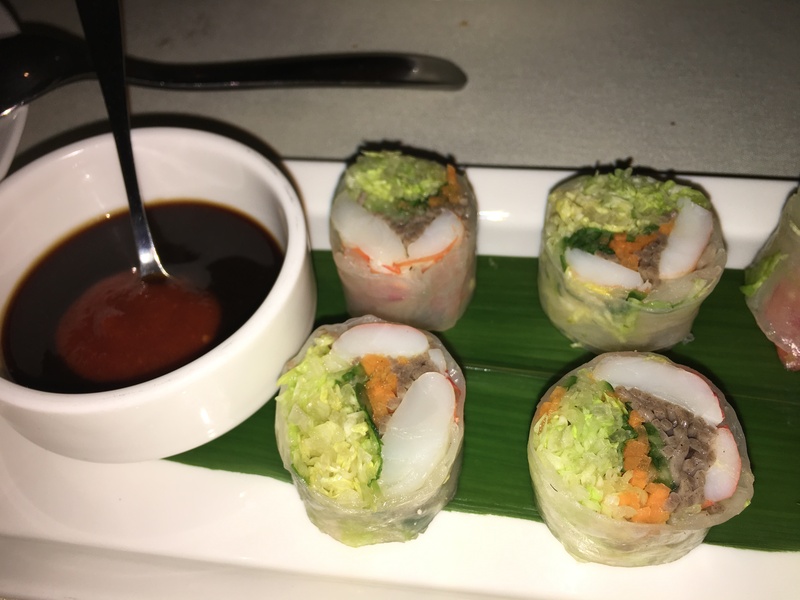 The shrimp rolls with carrots, mint, cucumber, Hoisin sauce and lime were a close second. Having another glass of wine we decided on our main course. 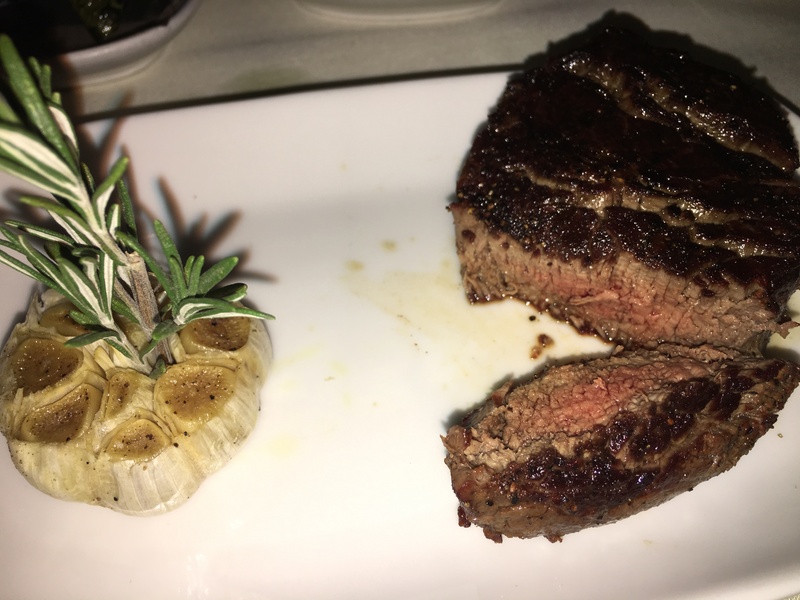 With so many great offerings on their diverse menu ranging from land and sky to sea we decided to go with two cuts from their certified Black Angus steak bar. I chose the 24 oz. Prime Aged Rib Eye and she ordered the 8 oz. Filet Mignon, along with Roasted Brussel Sprouts in a bacon sauce and Sauteed Spinach in garlic and olive oil. Not wanting to boast here, but my Rib Eye was outstanding. It was so juicy and tender and succulent it was a joy to eat and a shame to finish. Her Filet Mignon was great as well. 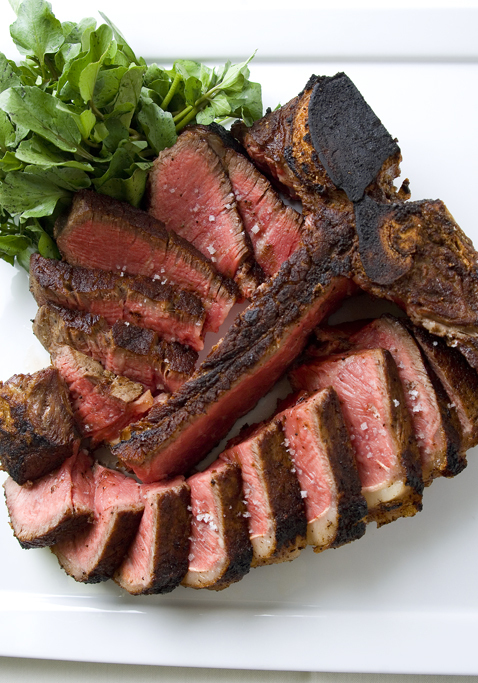 We’ve been to several upscale steakhouses together before and these two cuts were among the top we’ve ever had. 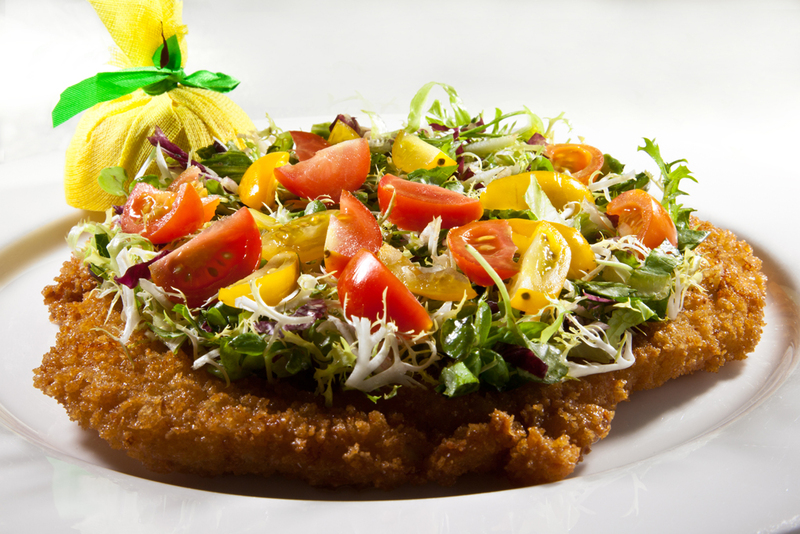 Other TBar specialty dishes include their Chicken Milanese topped with fresh veggies and their sliced Sesame Tuna, which we will have to try during our next visit. 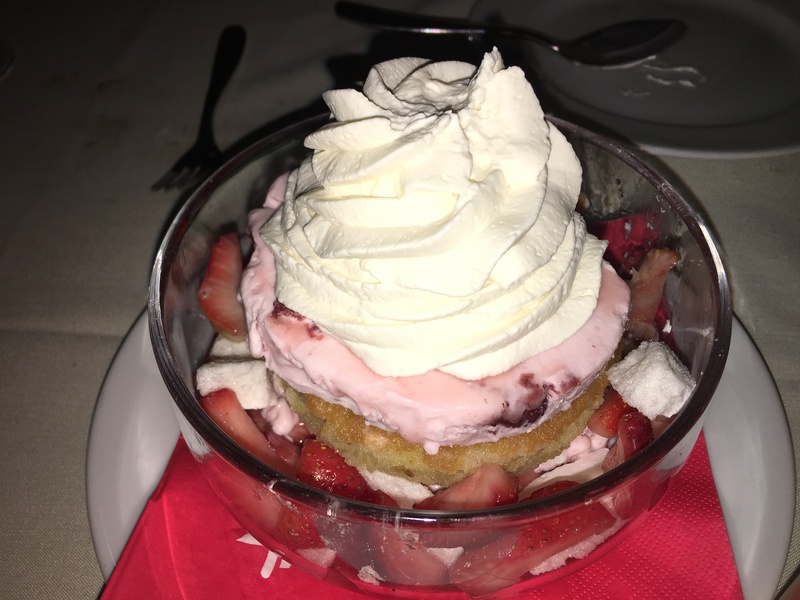 We finished the night with a beautifully crafted Strawberry Sundae, made with shortcake, meringue and cream, which could literally feed three dessert-craving kids. We did some damage to it but couldn’t finish it all. You know a meal was good when you leave a little at the end. 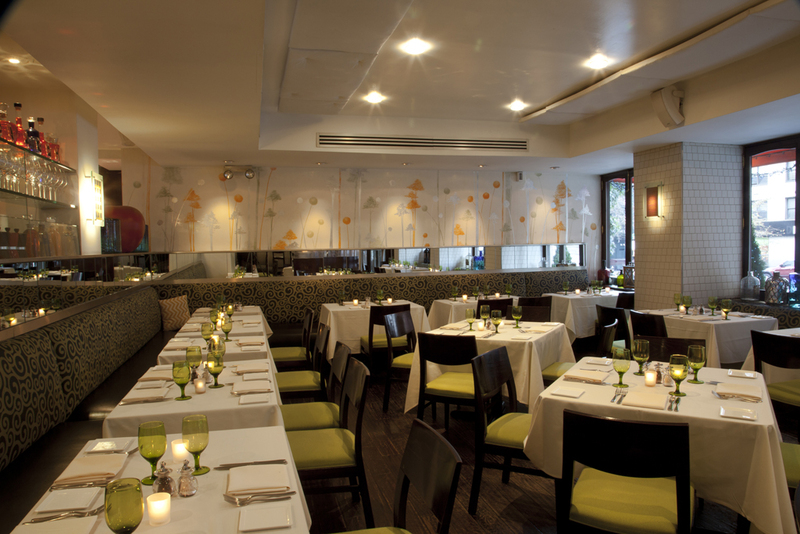 Next time you take a night out on the town definitely give this place a try!